Michael Mayer's new album, &, comes out Oct. 28. Courtesy of the artist. Techno is not a genre ready-made for a cohesive album of duets. Just as few producers who feel at home in the solitary confines of a studio find comfort in suddenly becoming social collaborators, it is the rare collection of guest-heavy tracks that coalesces into a unified, album-length vision. In fact, it’s a hard task to identify an artist-led album of club music that has production line-up changes on every song and isn’t a hodgepodge. What helps Michael Mayer pull off this trick so successfully on &, a 12-track album that finds the German producer working with 15 different partners, is an absolute comfort in swapping his artistic stamp for that of a curator and a behind-the-scenes macher. After all, that’s what Mayer — among the world’s most celebrated techno DJs and, crucially, the co-founder of Cologne’s scene-defining Kompakt Records — is best at. Moreover, though & is Mayer’s third “solo” effort, he’s had two other full-length works that were fully collaborative: 2007’s SuperMayer, an album he made with Kompakt domo Superpitcher, and 1998’s Geben & Nehmen, a trio record with Kompakt cornerstones Reinhard Voigt and Tobias Thomas under the name Forever Sweet. All safe partnerships — and all fully and safely executed ones. Voigt is among a handful of Kompakt regulars who make an appearance on &, turning it into a spirited community exercise. The “locals” contribute a few of the album’s high points, both incorporating the label’s signature style — an adoration of broad, romantic melodies; an embrace of techno’s trance-like, metronomic qualities; and a minimal-age play on Euro-disco’s adoration of sequencers — and playing off it. Voigt, his older brother and Kompakt co-founder Wolfgang Voigt (a.k.a. Gas, a.k.a. Mike Ink) and Jörg Burger (The Modernist, Bionaut, one half of Burger/Ink) join Mayer for “Disco Dancers,” an unlikely synth-funk jam complete with a vocoder-ized refrain and a strategically placed quote of Chic’s disco staple “I Want Your Love.” Kompakt’s Brazilian ambassador, Gui Boratto, helps Mayer unfold a gorgeous bit of pastoral techno called “State Of The Nation.” And “Cicadelia,” a collaboration with New Zealand pianist and digital sound designer Andrew Thomas (a veteran of the label’s annual Pop Ambient compilations) is one of those beautiful concoctions that falls somewhere between cinematic journey and lingering end-of-night groove. Of course, if & were simply an exercise in label propaganda, it’d be superfluous. The album blossoms when Mayer makes aspirational moves into territory that’s less obvious for him: producing songs (not tracks) sung by an excellent and diverse cast of pros relaxed at dance-pop’s divide. Friendly Fires frontman Ed Macfarlane gives up “Mind Games,” an odd-bird lover’s kiss-off infused with bass stabs and a skittering drum-machine pattern that is possibly the closest any Kompakt-affiliated track has come to dubstep without actually going there. 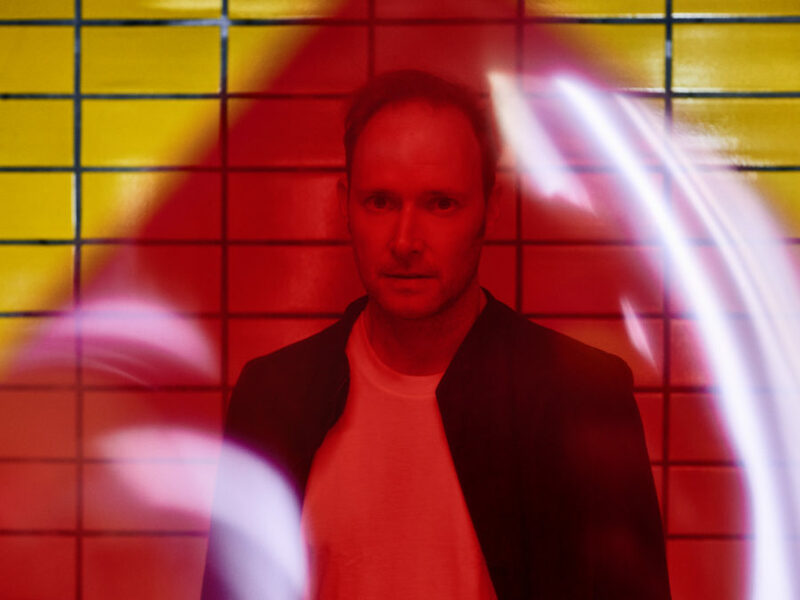 Joe Goddard of London’s blue-eyed-house champs Hot Chip delivers “For You,” which reaches out towards early-century emo-techno-pop stylists like Morr Music and The Postal Service. And the French electro chanteuse Miss Kittin brings “Voyage Interieur,” a spoken-word trip into the contemporary Italo sound of The Hague: all industrial hooks, analog synths and a retro-futurist noir vibe for miles. In context, there’s a surprising sense of spectacle to these songs, as if a regular menu has been turned — well, if not upside down, then admirably sideways. As with many artists who use the gaze of others to push themselves, Mayer ups the ante, exhibiting growth in unlikely directions that could just as easily have led to real failure — but don’t. On &, that growth comes with two tracks at the album’s tail end. There’s “La Compostela,” made with the Dusseldorf avant-garde composer Hauschka (Volker Bertelmann); it’s an indelible collision of the two men’s worlds, opening on a simple folk motif before descending into a driving bassline wrapped in snaps of classic ’80s freestyle, plus echoes of traditional strings and percussion. Later comes “Und Da Stehen Fremde Menschen” with Barnt, a.k.a. fellow Cologne resident Daniel Ansorge, whose own avant-techno Magazine Records label is heavily indebted to Kompakt’s lead. The track’s locus is a loop of a depressed male baritone intoning the title as the composition falls in and out of another boisterous bassline. Neither track has anything like a precedent in near vicinity. There’s real danger afoot; the kind of menace Mayer usually keeps far away from his good-time DJ sets is a constant presence here. It’s as though in the company of these creative partners, he is that much more comfortable being bolder.